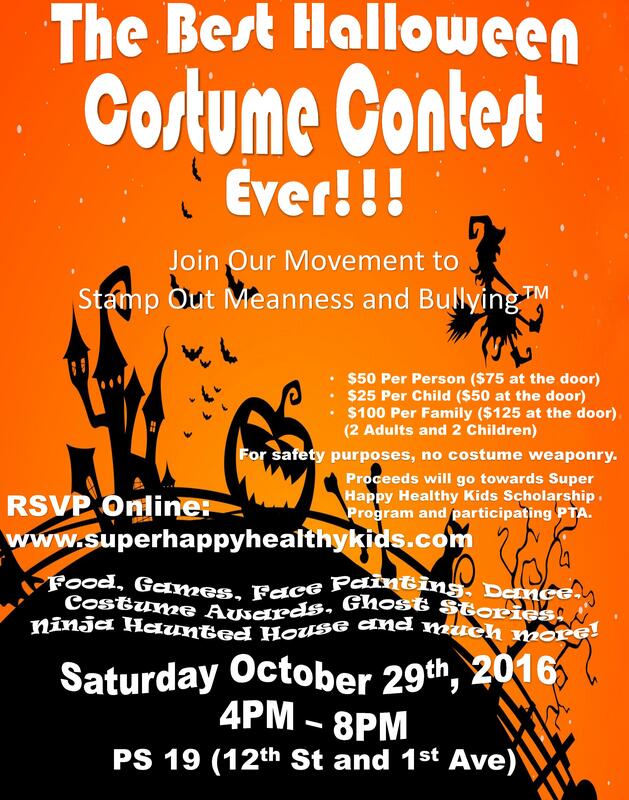 Welcome to Super Happy Healthy Kids first Halloween Costume Contest. We are very excited to share this amazing experience with you and your children. The event will take place on Saturday, October 29th 2016, from 4PM - 8:00PM at P.S. 19 Asher Levy (12th St and 1st Ave). Further detail is listed below.